This tutorial is a continuation to the previous Thunderbird+Enigmail tutorial. This is intended for you GNOME users (on Ubuntu, Fedora, PureOS, etc.) particularly if you use Evolution Mail Client. You will learn how to import your own pair of public+private keys, setup Evolution, and finally read and send email in encryption. 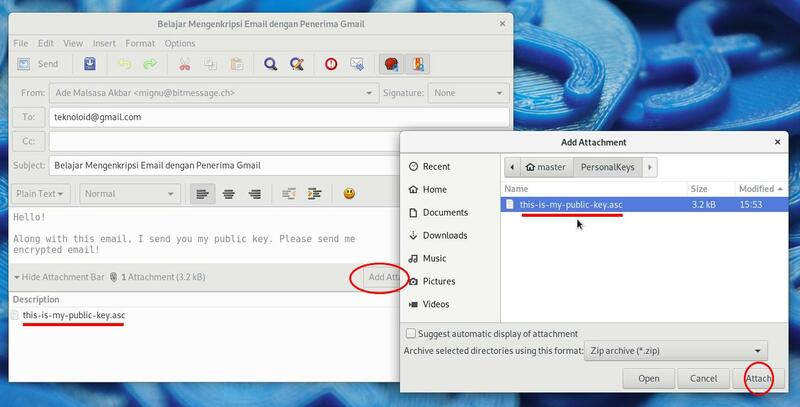 Also, you can attach your public key so every recipient can reply to you with encrypted mail only you can read. Overall, it's easy if you know the way. Enjoy! I assume that you already have your own pair of public+private keys. You will only need to import that pair into Evolution. 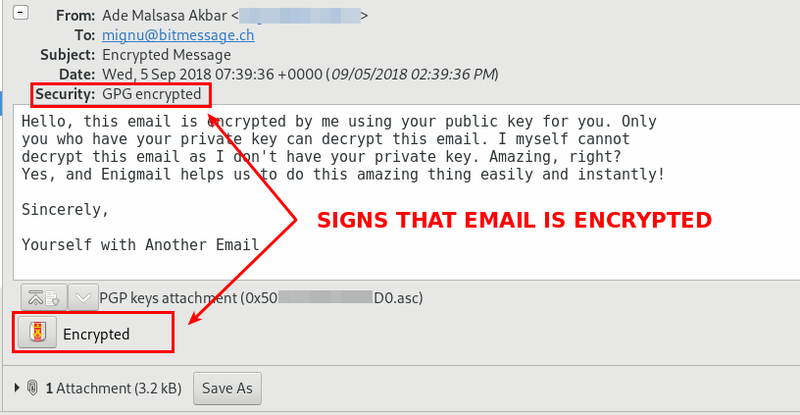 If this is your first time in email encryption, see previous tutorial to create your pair. 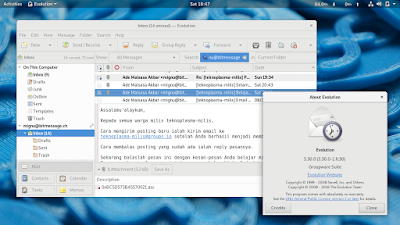 GNOME Seahorse uses GPG version 2 and not GPG version 1. You may find many / most of your friends' public keys are GPGv1, not GPGv2. You may find you cannot import your friends' public keys into GNOME Seahorse. 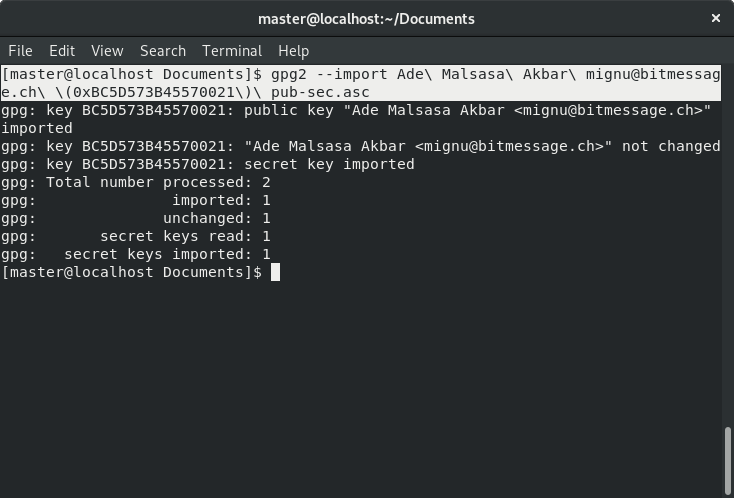 Unfortunately, you will need to use command line (Terminal) to import keys to GNOME Seahorse. This is necessary so you can read encrypted emails sent to you. Copy your .asc file containing your public-private keys. Successful import will result in "secret keys imported: 1". See example on picture below. Now open up GNOME Seahorse ("Passwords and Keys" program on menu) and you should see your key pair under PGP Keys section. When you double-click your key pair, you see your Key ID like on the right dialog on picture below. That's important. What you really need to do is only inserting Key ID into Evolution. Just copy and paste it from the Seahorse. Go to menu Edit > Preferences > select your mail account name i.e. mignu@bitmessage.ch > click Edit > Account Editor appears. On Account Editor, go to Security section. 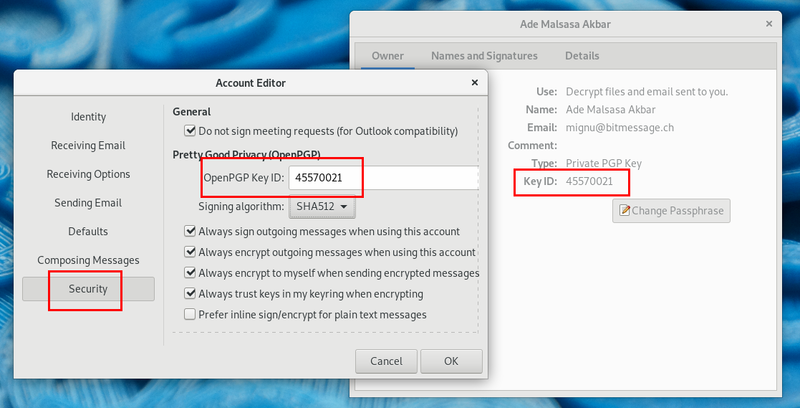 Copy and paste your Key ID from the Seahorse into Account Editor. Choose Signing algorithm: to be the biggest one. All done. Open any encrypted email and Evolution will automatically decrypt (unlock) it for you. But remember, every time you read encrypted email, you will be asked for Passphrase, the password you have created for your own pair of public-private keys. See example below. 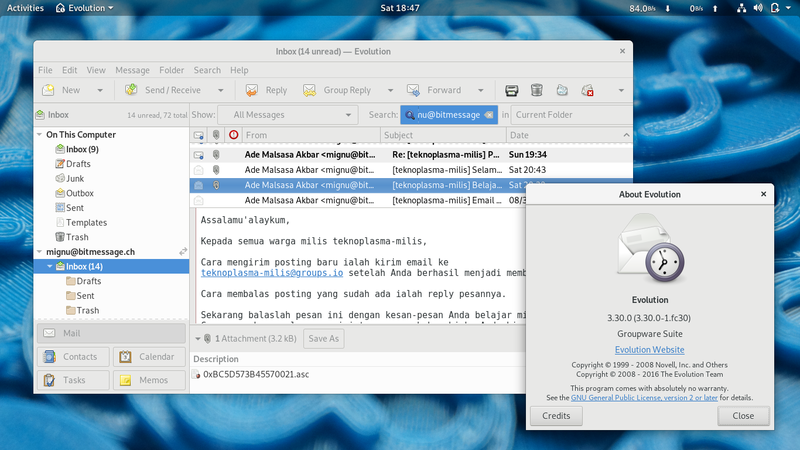 I admit for this time it's not as simple as with Enigmail on Thunderbird. But what's important here is you know how to do. Done! You don't need to do this again. It's good to do this for every recipient!